Birthday parties, weddings and holidays like Christmas can become unnecessarily stressful. The stress can come from the pressure of getting your loved ones the perfect gift. You do not have to buckle under the gifting pressure. You can become the best gift giver without much work. All you need to do is find the right gift card. Shake off your gift card jitters and embrace the best gifting option. 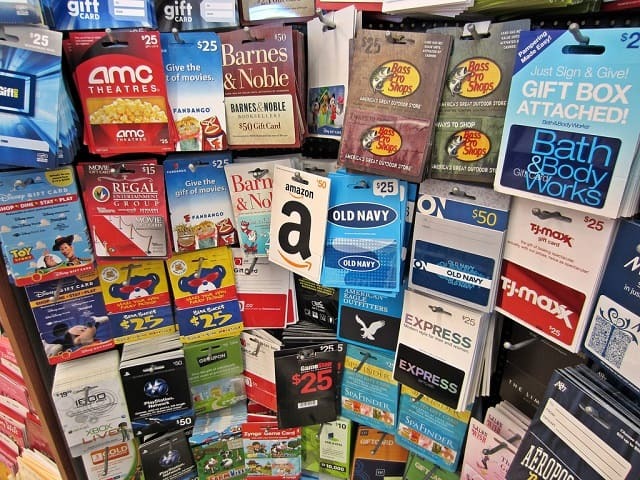 Shying away from gift cards out of fear of seeming too impersonal? You can find the perfect custom gift card to give. There are many businesses that offer the option of customizing their stock gift cards to make them personal. You can add personal messages and pictures. Without knowing exactly what your gift receiver wants, you can give them a gift card that enables them to get themselves what they want. Many popular businesses offer gift cards which any gift receiver will be more than happy to get. Your gift card might be helping the gift receiver buy something that they had not been able to buy. The trick to successful gift card giving is giving a gift card from a business that the receiver frequents. Armed with your gift card, the gift receiver is sure to return to the business. Instead of a gift card, any gift you give them runs the risk of being returned or exchanged. A gift card allows the receiver the freedom to get what suits their requirements. Failed tries of returning a gift usually makes the gift receiver recycle the gift. This means that what you have so thoughtfully gifted is passed on to another person. You might end up getting back the gift you gave someone after it does its rounds among your acquaintances. But with a gift card, this choice is no longer valid. Your gift receiver can get whatever they want with the card within the validity of the card. Spending hours behind going from one shop to another or one shopping site to another is redundant. You can never be sure if your gift receiver already has what you are about to buy them. The effort you put in might be in vain. All you need to do for a gift card is make a payment and get the card handed or delivered. You can get a custom gift card from the comfort of your home. The most common fear of a gift card giver is the fear of coming off as stingy. No matter how much your gift card value is, the point of a gift is the thought. By putting in the effort of getting a useful gift card you have yourself covered. Stick to how much ever you can afford. You can also find great discounts on gift cards from many businesses. With a gift card, you do not have to worry about the occasion. Whether for a special occasion or for a holiday, a gift card is the most useful gift. I hope you enjoyed this article about reasons why gift cards are still great gifting options for all occasions.